Buy online AD818 Video Op-Amp in India at low price from DNA Technology, Nashik. AD818 is a low cost video op-amp optimized for use in video applications that require gains equal to or greater than +2 or –1. The AD818’s low differential gain and phase errors, single supply functionality, low power, and high output drive make it ideal for cable driving applications such as video cameras and professional video equipment. With video specs like 0.1 dB flatness to 55 MHz and low differential gain and phase errors of 0.01% and 0.05∞, along with 50 mA of output current, the AD818 is an excellent choice for any video application. The 130 MHz 3 dB bandwidth (G = +2) and 500 V/ms slew rate make the AD818 useful in many high speed applications including video monitors, CATV, color copiers, image scanners, and fax machines. 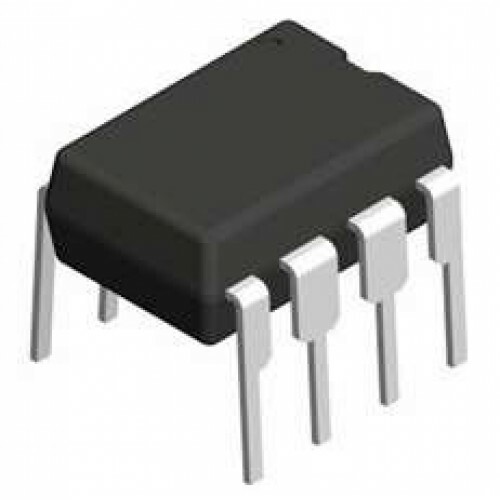 The AD818 is fully specified for operation with a single +5 V power supply and with dual supplies from ±5 V to ±15 V. This power supply flexibility, coupled with a very low supply current of 7.5 mA and excellent ac characteristics under all power supply conditions, make the AD818 the ideal choice for many demanding yet power sensitive applications. AD811 Video Op-AmpAD811 is a wideband current feedback operational amplifier, the AD811 is optimized..